#SundaySpaDay has been a long tradition on Instagram and it’s one I used to look forward to a lot before I got to too busy to really enjoy them properly. I didn’t really do them at all over the summer, but these past few weeks I have made an effort to bring back the facial fun and this is my current favourite routine. I have done this three times now and the results have been so great that I thought it was time I shared it with you. Enjoy! Ingredients: Helianthus Annuus Seed Oil* – Sunflower Oil Glycerin – Organic Derived Vegetable Glycerine Prunus Amygdalus Dulcis Oil* – Sweet Almond Oil Aleurites Moluccana Seed Oil* – Kukui Oil Prunus Armeniaca Kernel Oil* – Apricot Oil Carthamus Tinctorius Seed Oil* – Safflower Oil Persea Gratissima Oil* – Avocado Oil Hydrogenated Castor Oil (and) Hydrogenated Jojoba Oil – Jojoba Beads Sucrose Laurate – Sucrose Laurate Citrus Aurantium Dulcis Fruit Water* – Orange Fruit Water Boswellia Neglecta Oil* – Frankincense Oil Litsea Cubeba Fruit Oil* – May Chang Oil Tocopherol – Natural Vitamin E Naturally Occurring in Essential Oils: linalool*, citral*, d-limonene*. Contains Nut Oil. *Organic: 95%. I started off the routine with a bit of gentle physical exfoliation using this lovely one from Pai that I have been a fan of for years now. I didn’t include this step the last two times I did this routine, but today it was much needed as my skin had some textural dryness due to how sick I have been lately. I take one pump and massage it in to my skin for about a minute using light, circular motions before adding water to emulsify, then I massage the now milky formula in to my skin for an additional 30 seconds before rinsing with warm water. This is such a lovely physical exfoliator because it has a balmy gel texture that is easy to work in and the jojoba beads are so gentle and don’t irritate the skin at all. This step left my skin crazy silky soft and completely free from any surface dry skin or flakiness. Even though I generally prefer chemical exfoliation, during this time of year I do sometimes need a little physical action and this one I highly recommend. 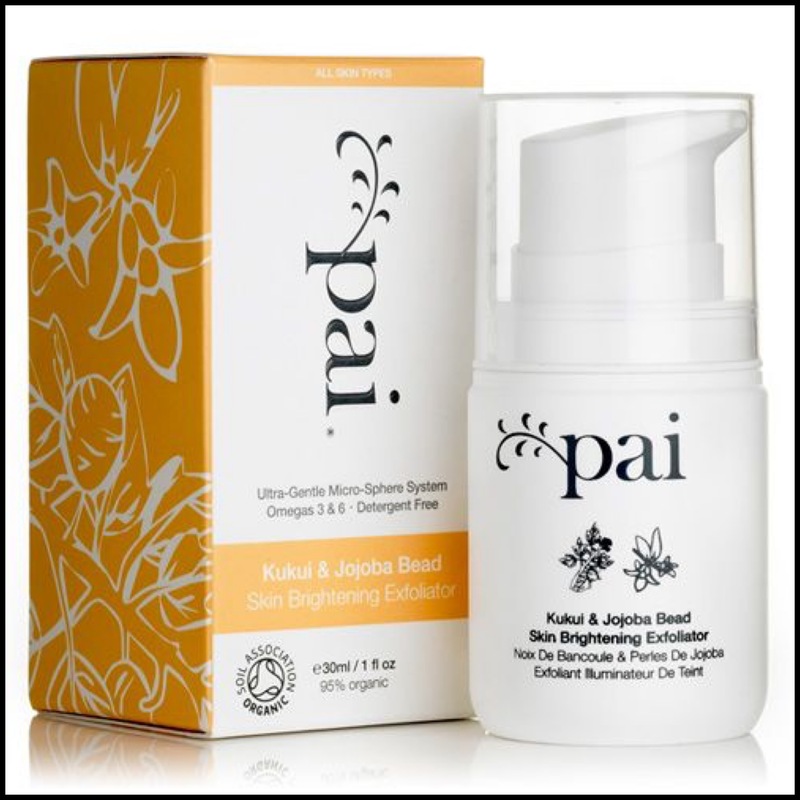 The packaging has been updated and if you’ve never tried Pai before, they just released a super cute gift set (here) of this and their award winning Rosehip Oil that would be a great way to try both products, which are long time favourites of mine. Ingredients: Glycerin, Caprylic/capric Triglyceride, Aqua (Water), Sucrose Stearate, Phenoxyethanol, Microcrystalline Cellulose, Copper Gluconate, Prunus Armeniaca (Apricot) Kernel Oil, Ethylhexylglycerin, Oenothera Biennis (Evening Primrose) Oil, Cellulose Gum, Tocopheryl Acetate, Xanthan Gum, Salvia Lavandulaefolia Leaf Oil, Faex (Yeast Extract), Cinnamomum Camphora (Camphor) Bark Oil, Pelargonium Graveolens Flower Oil, Hippophae Rhamnoides Oil, Anthemis Nobilis Flower Oil, Malva Sylvestris (Mallow) Flower Extract, Phospholipids, Citric Acid, Sodium Benzoate, Potassium Sorbate, Helianthus Annuus (Sunflower) Seed Oil, and Rosmarinus Officinalis (Rosemary) Leaf Extract, Limonene, Citronellol, Linalool, Geraniol. I am so in love with this cleanser and it’s the perfect one to use before masking because it’s light, rinses easily and doesn’t leave behind any residue. 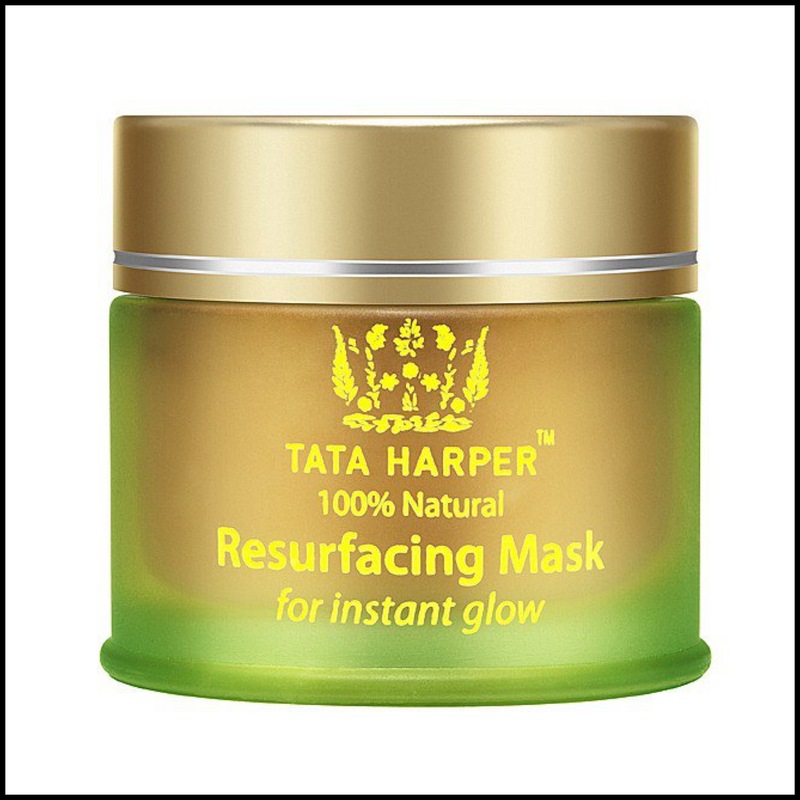 I have found myself reaching for this a lot since I ran out of the Tata Harper Purifying Cleanser and my skin has been great with it. I take about a quarter size, massage it in to my dry skin for about 2-3 minutes to boost circulation, add water to emulsify and then rinse with just warm water. I have a big Omorovicza feature in the works and a full review of this will be included, but in the meantime, if you love gel-balm cleansers then definitely check this one out. Oh, and incase you’re wondering, I exfoliated before cleansing because the Pai product has oils in that I wanted to make sure were completely removed before masking and I also think it’s a waste to cleanse skin cells I’m about to remove. Does that make sense or am I being weird? Ingredients: Aloe barbadensis leaf juice*, Salix alba (Willow) bark extract*, Sclerotium gum, Lactobacillus Ferment, Lactobacillus/Punica granatum fruit ferment extract, Leuconostoc ferment filtrate (radish root extract), , Maltooligosyl Glucoside, Hydrolyzed Corn Starch, Beta vulgaris (Beet) Root Extract, Hydrogenated Starch Hydrolysate, Kaolin (Rose Clay), Sodium phytate, Aroma**, Citral, Citronellol, Limonene, Linalool, Benzyl Alcohol, Geraniol *Ingredients from organic farming ** Clinical grade essential oils blend. I could not love this mask more and even though it has been a firm favourite ever since I discovered it over 3 years ago now, I am currently obsessed with it all over again. It is easily one of the best exfoliating masks out there and I love what it does for my skin. Using gentle chemical exfoliation in the form of organic willow bark extract (BHA) and pomegranate enzymes it removes dead skin cells, refines the look of pores, smoothes, calms, balances and revitalizes the skin. This is such a great product to start a masking routine with because it removes any “barriers” to the next masks, helping them to be even more effective and show even better results. I take about slightly less than a full teaspoon of this and spread a thin layer all over my clean and dry face then leave it on for at least an hour (usually more). Even though it’s a gel texture, it actually dries to a texture quite similar to peel off masks but much much thinner and flakier. Once I’m ready to remove it I simply use warm water and it rinses away easily and cleanly. I have written about this many times because it’s such a multi-use product and I highly recommend it. Ingredients: Aqua (Water), Montmorillonite, Kaolin, Bisabolol, Silica Cetyl Silylate, Isodecyl neopentanoate, Panthenyl Triacetate, Glucosyl Hesperidin, Potassium Azeloyl Diglycinate, Argilla, Glycerin, Butylene Glycol, Resveratrol, Naringenin, Arginine, Alteromonas Ferment Extract, Perfluorodecalin, Simmondsia Chinensis Seed Oil, Glycosphingolipids, Propanediol, Xanthan Gum, Carrageenan, Acacia Senegal Gum, Mica, Quartz, Sucrose Palmitate, Trisodium Ethylenediamine Disuccinate, Ethoxydiglycol, Potassium Sorbate, Sodium Benzoate, Phenoxyethanol, Chlorphenesin. Next up is mask that is something I use at least once a week without fail now. I have reviewed it in full here and it was just in my last empties (here) and it has become such an important step in my skincare routine. It works to remove surface impurities, decongest pores and calm inflammation, which it absolutely does. I credit this for helping to keep my skin clear and can’t recommend it enough, especially in this 100ml tube size. It is so much easier to use and the texture seems to be different to the 50ml size too – it’s a lot thinner and somewhat watery (in a really good way) and spreads so quickly and easily. It is a joy to apply, which is the exact opposite of how I feel about the 50ml jar I just used up and I really, really hope they change the packaging on the smaller size to this one. I take about a full teaspoon of this and apply it on to dry skin and leave it for about an hour or two depending on how much time I have. This sets nicely and doesn’t feel uncomfortably tight or stiff. It washes off very easily and leaves my skin feeling soft and smooth, and without a trace of any inflammation or congestion. Total love! Ingredients: Peat, Solum Fullonum, Propanediol, Aqua (Water), Fragaria Vesca Leaf Extract, Glycerin, Hydroxypropyl Cyclodextrin, Commiphora Myrrh Extract, Evodia Rutaecarpa Fruit Extract, Carrageenan, Acacia Senegal Gum, Pentylene Glycol, 1,2-Hexanediol, Caprylyl Glycol, Phenoxyethanol, Chlorphenesin. It might seem excessive to use two clay type masks in one routine, but this new addition to the NIOD lineup is so very different to FM and I have fallen in love. I have used it probably about 6 or 7 times since it launched and after each use I love it even more. It’s pretty hard to pick a favourite from all the NIOD masks (a set is on the way and I can’t wait! ), but this might be it. Myrrh is a wonderful ingredient that has been used for centuries in “Ayurvedic, Unani and traditional Chinese studies of medicine” for it’s wound healing, antioxidant, anti-aging and skin firming properties. It has such a unique texture and gorgeous scent, but what I love most about it is the results. My skin just looks better. That’s all there is to say about it. It just looks good, even when I use it as a stand alone mask and I really look forward to using it. I take a heaped teaspoon, apply a generous layer all over and leave it on for an hour before washing it off with warm water. 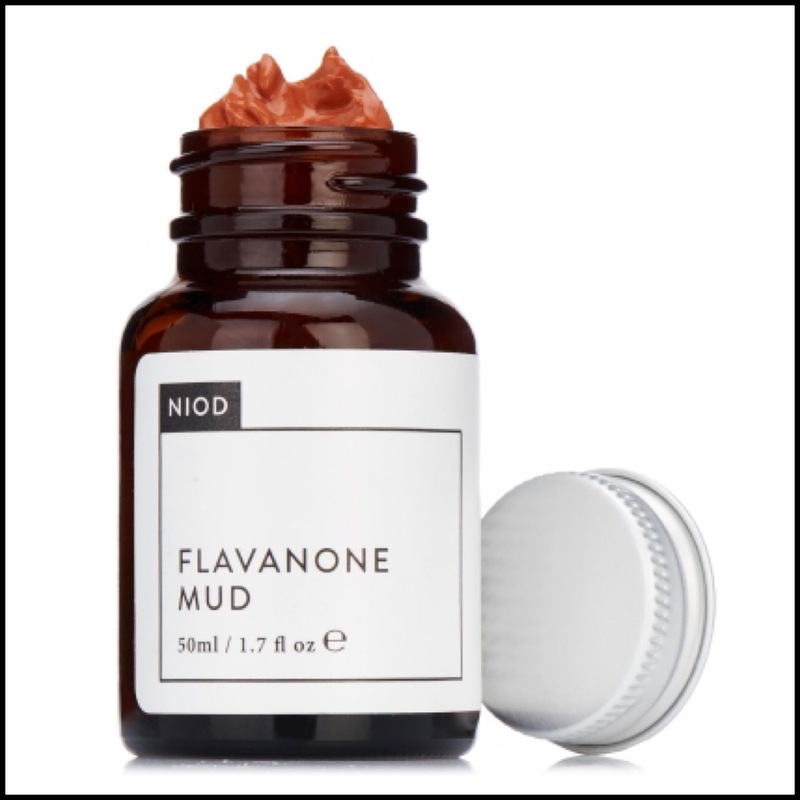 It leaves my skin looking supremely healthy and if you love NIOD then you must try this. Ingredients: Essence- Aloe Maculata Leaf Extract, Lactobacillus/Chrysanthemum Sinense Flower Ferment Filtrate, Lactobacillus/Taraxacum Officinale (Dandelion) Rhizome/Root Ferment Filtrate, Lactobacillus/Nelumbo Nucifera Flower Ferment Filtrate, Lactobacillus/Maculata Aloe Leaf/Molasses Ferment Filtrate, Helichrysum Arenarium Flower Extract, Rhodiola Rosea Root Extract, Corylus Avellana (Hazel) Seed Oil, alpha-bisabolol, Brassica Oleracea Italica (Broccoli) Extract, Camellia Japonica Seed Oil, Xanthan Gum, Scutellaria Baicalensis Root Extract, Paeonia Suffruticosa Root Extract, Glycyrrhiza Glabra (Licorice) Root Extract, Aniba Rosaeodora (Rosewood) Wood Oil, Citrus Aurantium Bergamia (Bergamot) Fruit Oil, d-Limonene/ Sheet- Water, Aloe Maculata Leaf Extract, Ceratonia Siliqua Gum, Lactobacillus/Chrysanthemum Sinense Flower Ferment Filtrate, Lactobacillus/Taraxacum Officinale (Dandelion) Rhizome/Root Ferment Filtrate, Lactobacillus/Nelumbo Nucifera Flower Ferment Filtrate, Xanthan Gum, Scutellaria Baicalensis Root Extract, Paeonia Suffruticosa Root Extract, Glycyrrhiza Glabra (Licorice) Root Extract. Organic Korean skincare is a dream come true for me and thanks to my dear friend Ing, I have seriously fallen hard for Whamisa. I love sheet masks but don’t get to use them as often as I would like, but in this routine they have become an integral and enjoyable step. 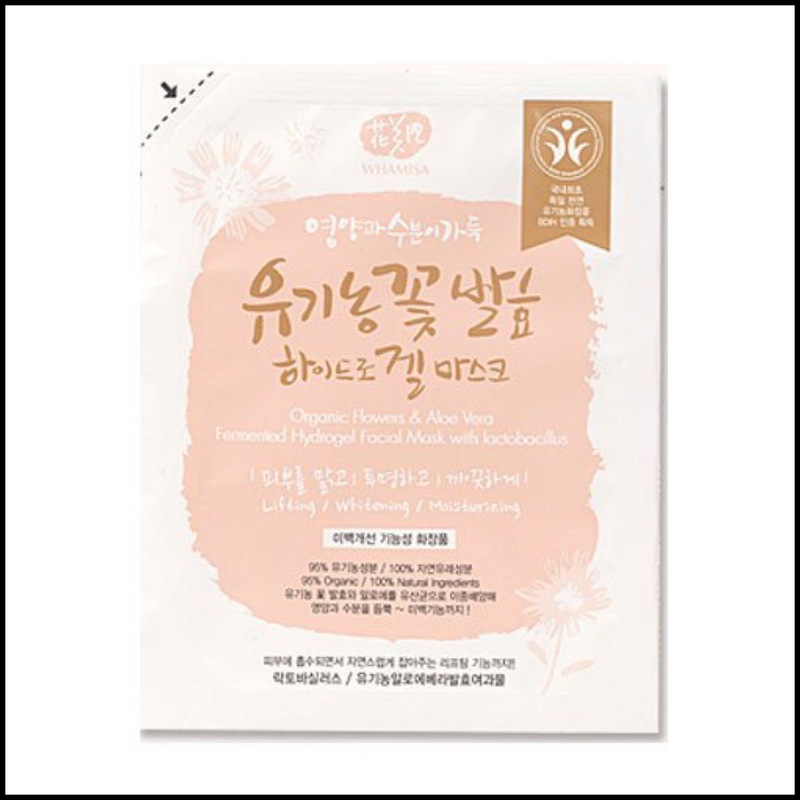 This sheet mask is soaked in incredible ingredients like chrysanthemum extract, lotus flower extract, dandelion root and green tea, which are all fermented in the brand’s “signature process for maximum effectiveness”. It comes in two parts for a better fit and works to condition, brighten, plump and hydrate for clear skin that glows. I love this step and leave it on for as long as possible (45 mins to an hour) because it fits really well, stays on when I move around and my skin feels so lovely afterwards. Once I remove it I pat in the extra essence and then wait for it to fully absorb/dry before moving on to the final step. Ingredients: Lactococcus Ferment Lysate, Dimethicone, Centaurea cyanus flower water, Glycerin, Dimethicone/Vinyl Dimethicone Crosspolymer, Hydroxyethyl Acrylate/Sodium Acryloyldimethyl Taurate Copolymer, Propanediol, Aqua (Water), Pentylene Glycol, Origanum Vulgare Leaf Extract, Leontopodium Alpinum Callus Culture Extract, Plantago Lanceolata Leaf Extract, Melanin, Sodium Hyaluronate, Arginine, Sodium Chloride, Isohexadecane, Polysorbate 60, Xanthan Gum, Citric Acid, Ethoxydiglycol, PPG-26-Buteth-26, PEG-40 Hydrogenated Castor Oil, Potassium Sorbate, Sodium Benzoate, Ethylhexylglycerin, Phenoxyethanol, Chlorphenesin. 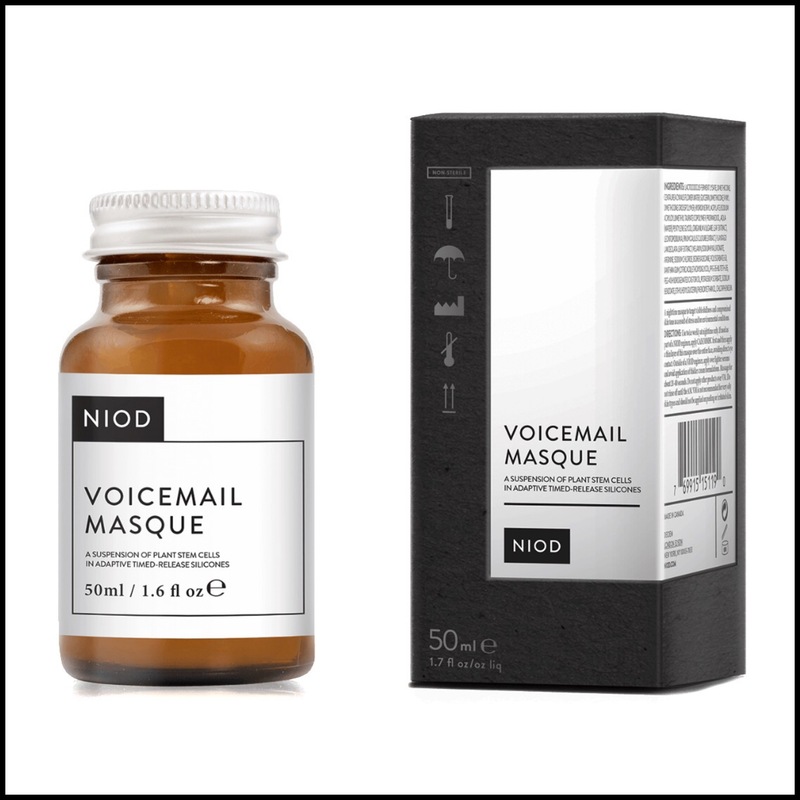 The wonderful and highly anticipated Voicemail Masque has finally launched and it should come as no surprise that this is the final step in this routine because I have been raving about it for months. I have been so impressed with this even since Victoria Health gave us some sneaky lab samples, and you can read about a major reason here. This wonder product uses plant stem cells and highly-purified polyphenols to boost cellular communication for healthier skin. It’s a simple concept, but one that has worked very well for me and I can’t get enough of the results. This is a leave-on overnight masque and when I wake up in the morning my skin looks visibly bright and clear and like I got a great night’s sleep. I take about a heaped teaspoon of this and massage it in for about 30 seconds and that’s it. Dimethicone (silicone) is the second ingredient and used to “lengthen dermal exposure timeframe” so it has that slippy texture, but is also still ever so slightly sticky and does not dry (although it’s important to note I never find any on my pillow). The next morning I cleanse my skin as usual and proceed with my AM routine, and there’s no residue or film, just great looking skin. When I was healing my skin I used this 3 times a week and my skin got back on track so quickly. Now I use it just once a week, but if I am too tired for a full routine I will happily use this alone (as seen here) because I know it’s doing my skin a lot of good. 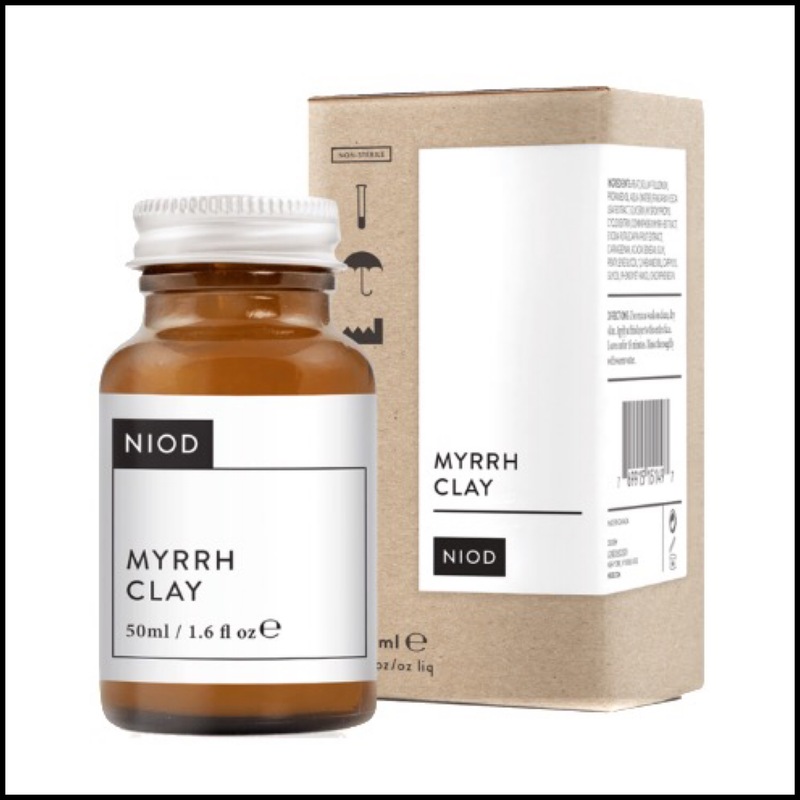 As with everything else from NIOD, this is so interesting and different, but what it does for the skin is so important and the results are definitely there. This is my new favourite thing to do on a Sunday and I love how indulgent yet relaxing it is and the great results just make it even better. Doing this routine helps me to slow down, enjoy the day and take it easy. The whole thing lasts at least 5 hours and I potter around, read, watch a show or a movie and just hang out and it is total bliss. The other thing I like about doing this is that it gives my skin a “break” from everything I use Monday-Saturday, because as you will have noticed there are no toners, mists, serums, oils or anything else involved – just a good double cleanse and the masks. My skin has responded so well to this and it’s almost like a weekly “reset” routine. This is now the third consecutive Sunday I have done this routine and I really look forward to it now. The key to building your own multi-mask routine is picking products that address whatever your skin needs and then applying them in a functional order. The combined effect of these masks is a total overhaul that purifies, decongests, calms, soothes, smoothes, softens, brightens, tightens, lifts, firms, hydrates, balances and heals the skin. The order makes sense to me because the Resurfacing Mask removes the dead skin so the FM mask can get deep down to decongest and calm the skin even better and then once that’s done MC can refine and firm the skin before the sheet mask adds moisture and brightens, ending with VM, which seals everything in and boosts the overall look and health of the skin. You can mix and switch any step to suit your needs and you’ll find it becomes quite an instinctual process as you learn what works for your skin and what products work well together. I would love to know what your multi-mask routine involves and I hope you’re all having a lovely Sunday, no matter what you’re doing! It totally makes sense. We just get so used to doing things a certain way! I sometimes eat dessert first which I’ve recently learnt isn’t weird (well maybe a little) but makes digestive sense! This sounds like PERFECTION, I need to indulge in this 5 mask tradition! I also can’t believe I didn’t know Whamisa had a UK website? I’ve been getting my family to send me things from Korea…..! Definitely going to look into the Pai exfoliator – I usually go for chemical exfoliation too but my skin’s definitely got more dry and rough in texture due to the temperature changes and I feel I need a bit of help. 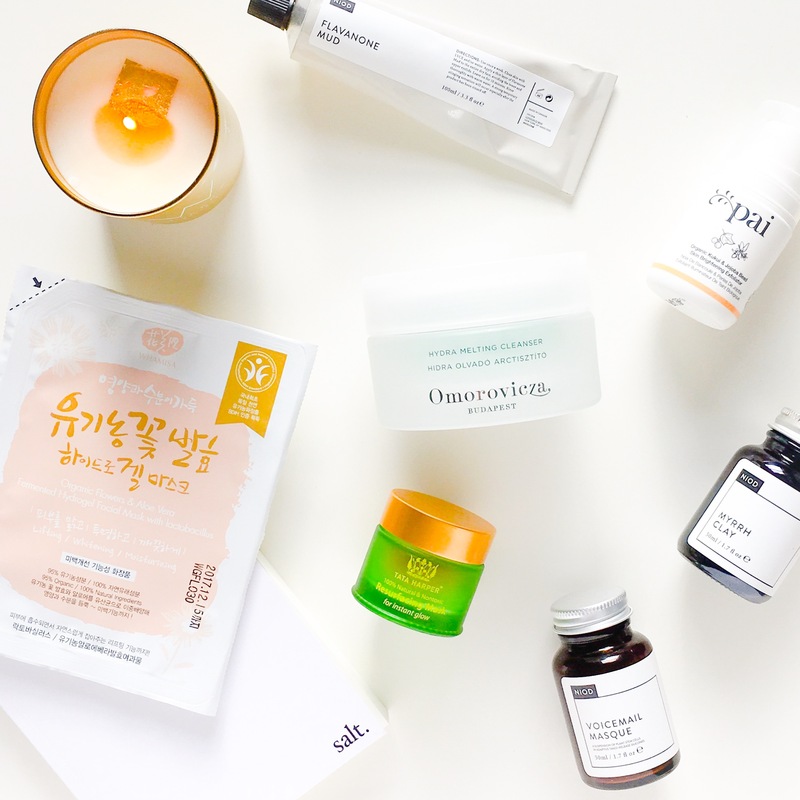 Another wonderful post – I love reading your skincare posts so thanks for sharing Arly!